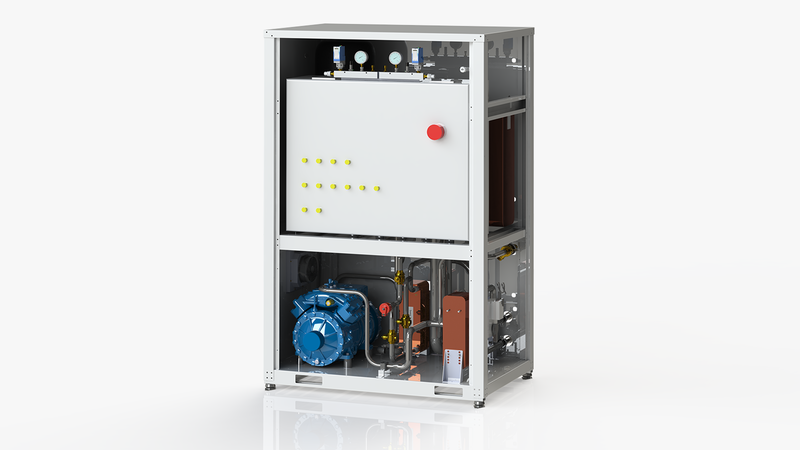 Yukon is Enex new range of medium-sized chillers for water and water/glycol cooling. Its use is above all suitable for all those places that require high quantity of hot water, such as hotels and hospitals. Moreover, for these applications, there is the opportunity to set up an efficient heat recovery. Use of the natural fluid CO2: ecological, not toxic and not flammable. 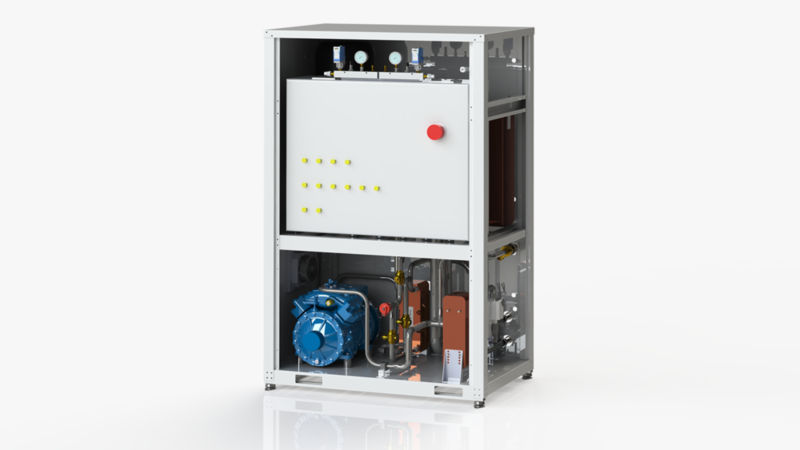 a) Low pressure receiver for units up to 60 kW, with a compressor. The chillers combined in parallel permit a capacity increase assuring redundancy. b) Gravity feeding for large units up to 450 kW, which are also suitable with Enjector technology for maximising the efficiency. The parallel combination of the units permits the achievement of very high capacities (useful for industrial applications).